Over the past few months I think I've let this blog slide and I guess it's because I've become interested in snail mail. If you know me at all, you know that I love previous decades when we didn't have mobile phones attached to us every minute of the day (even when on the toilet - don't lie, I know you do it) and I suppose mail is a part of that. 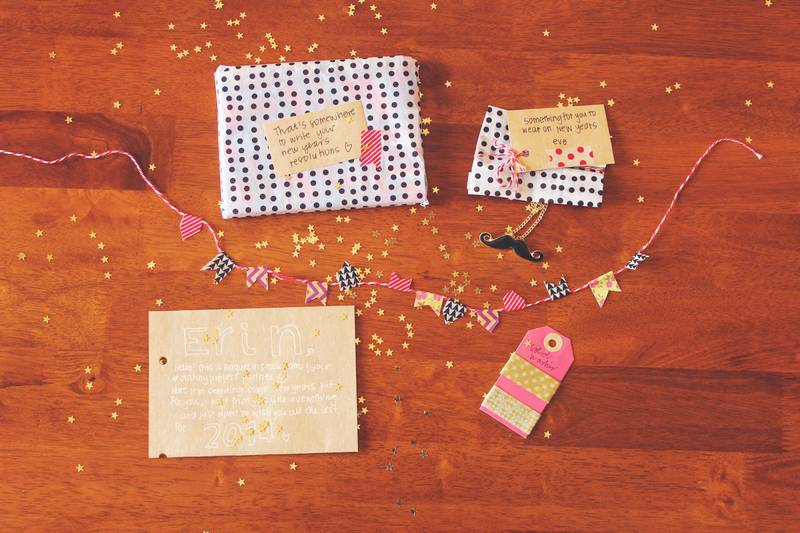 There's nothing like the feeling of getting mail - especially pretty, handmade mail. A month or so ago I saw that Rin (Papered Thoughts) was going to hold the && A Happy New Year Letter Exchange Project - a two part mail project to reign in 2014. I jumped on board and had so much fun creating mine and really hope my partner liked it. Unfortunately, I forgot to take any decent pictures of what I sent her but I definitely won't forget for the second task. I thought it would be fun to show you what she sent me - I received it a few weeks ago but wanted to hold out on opening it until I was closer to the New Year. I will definitely be wearing this on NYE! 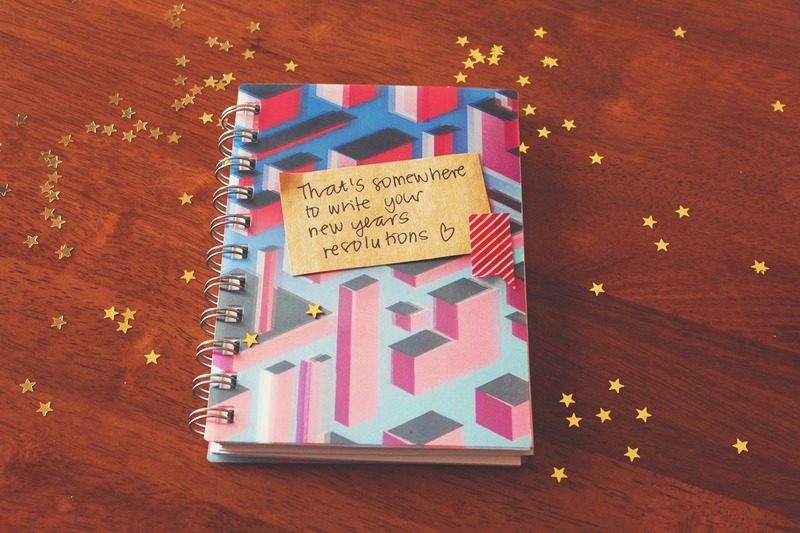 Absolutely adore this little notebook! I loved seeing all the inspired creations for this project - if you'd like to check them out, you can on instagram with the hashtag #aahnyproject or you can view it online here. so lovely, i especially love the polkadots!!! 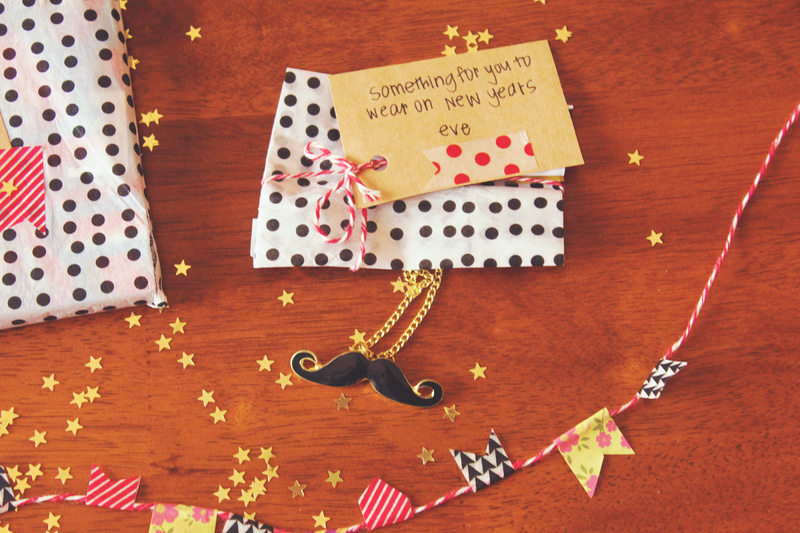 So inspired by your pretty mail for this project! Wish I could have participated in this!